4.) 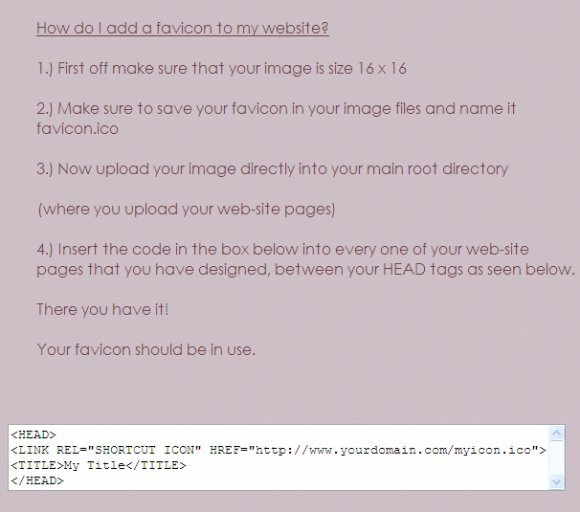 Insert the code in the box below into every one of your web-site pages that you have designed, between your HEAD tags as seen below. Make sure you remove the spaces inside the tags. Your favicon should be in use. should i put http: ?? ..what about if my website only in localhost? I am a new site constructor,thanks for you share.